I re-photographed my glass sculpture (shown in my previous post) using my DSLR rather than mobile phone and taking the photo outdoors rather than inside. The image is much different…… almost a different artwork. With many selective art competitions entered by digital file these days one wonders how legitimate the selection is. My two photos have not been adjusted but even so they are very different. With a bit of permitted tweeking the variations are almost limitless. I know this topic has been brought up before ….. it really is tricky. There are so many pluses to entry by selection from digital images of works as far as ease of entry, transport etc but I do wonder about the credibility of assuring the “best” works are chosen. It seems it is not just about the artwork now it is also about the photograph of the item. One must question how true many are to the reality. 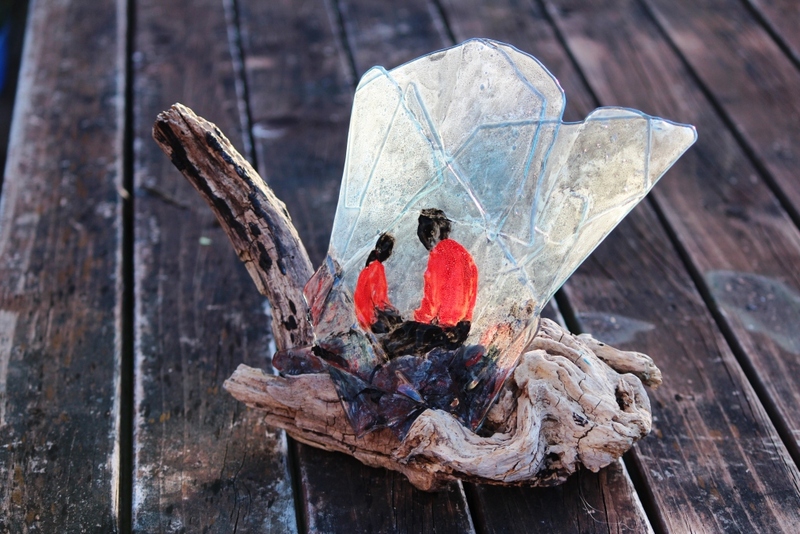 This entry was posted in glass, photography, Uncategorized and tagged art from recycled and found materials, glass, kiln formed glass, mother and child, recycled glass, sculpture, sumi E on glass.